IMACS students in a math enrichment class. Former IMACS instructor, Brandi Parsell, offers advice on how to address the ultimate question in a way that stimulates logical reasoning and critical thinking skills. It can be endearing, or at times downright frustrating – that eternal question, “why?”. When bright children discover that single word, they seem to grab onto it and won’t let go. Sometimes the answers are simple, and sometimes we find ourselves at a complete loss for words. This innocent question, however, is a signal to parents that a child is ready to be challenged to think logically. The creativity is there – we can see it in their everyday play. It is how we encourage that creativity and shape it into critical thought that will form a solid basis for a child’s learning ability. Critical thinking is one of the hardest subjects to teach older students; any schoolteacher will tell you so. But if you begin to give your children the necessary tools when they are as young as three or four years old, they can develop these skills more easily. When the question of “why” is put once again on the table, the best policy is to ask, don’t tell. Challenge your children; ask what they think the reason might be. Chances are you will be pleasantly surprised. Often parents believe that when their child reaches school age, he or she will at last find satisfaction for that curiosity. Talented students, though, may become bored with traditional school curriculum. When such a student is not challenged to exceed our expectations, this frustration often takes the form of careless errors and lack of effort. If children begin to develop these kinds of bad habits, too often they give up quickly when faced with a truly challenging problem. It is important that bright students are encouraged to go beyond what is merely “expected” of them. “Talented students owe it to themselves to stretch their minds as far as they can,” said Burt Kaufman, co-founder of IMACS. Burt spoke from experience. For over 40 years he worked closely with bright pre-college students and developed challenging mathematics curriculum materials to stimulate them to become true students – disciplined logical thinkers with an insatiable thirst for knowledge and understanding. Parents are a child’s first teachers, and the best teachers don’t give away the answers. Turn your child into a detective, and yourself into their greatest source for clues. An IMACS foundation in logical thinking sets students on a path to successful learning. Take our free aptitude test to begin your IMACS journey. 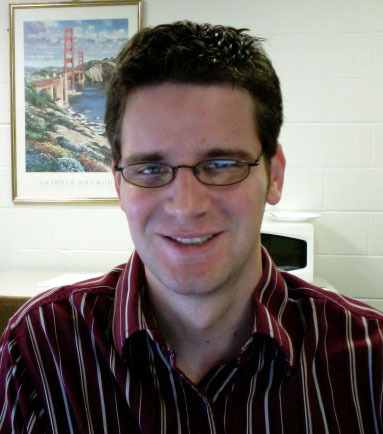 IMACS chats with Thomas Rutkowski, Assistant Professor in the Department of Anatomy and Cell Biology at the University of Iowa Carver College of Medicine. Prof. Rutkowski received his Ph.D. in cell biology from UC San Francisco and his B.S. in biotechnology with a minor in chemistry from the University of Delaware. He completed his post-doctoral fellowship at the Howard Hughes Medical Institute/University of Michigan. Prof. Rutkowski is also an alumnus of Project MEGSSS of St. Louis, Missouri, the sister program to Project MEGSSS of Broward County, Florida. The latter became IMACS in 1993. All three programs share a common curriculum that teaches students how to think critically using logic and reasoning. Tell us what you’re currently working on in the lab. My lab studies how cells respond to perturbation (“stress”) in the endoplasmic reticulum (ER). Sensing ER stress and responding appropriately is essential for the development and normal function of many different cell types, and dysregulation of the response contributes to a number of human diseases. We have two main interests. The first is understanding how ER stress contributes to fatty liver disease (FLD), which is the most common liver disease in the western world. FLD is latent and reversible in most people, but can progress to hepatitis, cirrhosis, or liver cancer, which are all irreversible. We have evidence that the ER stress response fundamentally alters how fat is metabolized in the liver, and that these alterations might contribute to FLD. Our other interest is in understanding how the ER stress response senses the nature, strength, and persistence of the stresses that activate it, and then alters cell physiology to generate the appropriate response. For example, the ER stress response is activated both in immune cells when they are stimulated to produce antibodies, and in the liver after a mealâ€”two very obviously different stimuli. What makes the ER stress response in the liver cell different from the response in the immune cell? This project actually has a significant mathematical component, and we are collaborating with a professor in the department of mathematics to build a mathematical model of the ER stress response. We will use the model to predict how the cell will respond to stresses of different types, thereby (hopefully) understanding how the signaling networks of the response are wired. What are some of the potential applications of your research? The simple answer to this question is that if we understand how cellular stress responses alter fat metabolism in the liver, then we will better understand how conditions like obesity, alcoholism, and hepatitis C infection lead to liver dysfunction and liver cancer, and ideally be able to prevent these problems. With the number of obese adults in the U.S. rapidly approaching one in three (not to mention the comparatively smaller but still significant numbers of alcoholics and hepatitis C patients), understanding and treating fatty liver disease and its downstream consequences is a huge challenge. Of course, the larger reality is that basic research often comes with substantial but unforeseen rewards. By understanding basic cell biology we ultimately gain insight into many diseases, as well as normal human biology. A classic example I like to give is the MutS geneâ€”which was first identified by a group studying DNA repair in bacteria, which would seem to most to be a highly esoteric topic with little practical value. However, the human equivalent of this gene later turned out to be involved in hereditary colon cancer. The rewards that come from simply asking how cells work, while perhaps harder to pin down, are probably far greater in the long run than anyone can imagine. How did your experience in Project MEGSSS studying what is also the IMACS curriculum influence your path from high school to your present career? I think in two ways, one somewhat abstract and the other fairly concrete. I think the abstract influence was in helping me to realize that my intellectual potential was far greater than Iâ€™d appreciated. In fact, I think most people never have a moment where they realize how limitless their own potential is, and that is a shame. When you go from being bored to death by long division in a traditional elementary school curriculum to learning college-level logicâ€”and realizing that you are in fact learning itâ€”it suddenly seems more reasonable to think big: big ideas and big aspirations. In this kind of curriculum, you are also exposed to other students who have already hit upon this realization. Then, as now, I think it stimulates my own thinking to be exposed to those who think about things on a wholly different plane, with incredible depth and creativity. Being a scientist, it is clear that big ideas are what move progress forward. MEGSSS was really my first exposure to the world of big ideas and creative thinkers that has (hopefully) shaped my initial inclinations toward science and how Iâ€™ve approached it since Iâ€™ve become a practicing scientist. The other more concrete influence is in how we are using mathematics to inform our understanding of biology. In our quest to understand how cellular stress pathways work, one of the approaches we are taking is to develop a mathematical model of the stress pathway. By that I mean that each of the steps in the process is replaced by a differential equation that (ideally) accurately describes it. The point of this process is to develop a dynamic mathematical representation of the response that allows us to do computational experiments that we cannot do in real life, and so learn more about how the stress response works as a complex unit. Many biologists shy away from this kind of investigation, because they donâ€™t intuitively appreciate how broadly applicable math is to problems in other areas and they arenâ€™t comfortable with the language. Admittedly, we are collaborating with a mathematician to help us with our modeling, but I think that programs like MEGSSS and IMACS makes students much more aware of how diverse a field mathematics is, and also makes them so much more comfortable with the language, and willing to apply it elsewhere. You’re a parent with a mathematically precocious child. What are some of the activities you engage in as a family to help foster that talent? We ultimately try to expose our children to new ideas (mathematical and otherwise) and challenge them to reason through problems they donâ€™t understand without pushing so hard as to turn them off. As my mother used to say, â€œUse what you know to figure out what you donâ€™t know.â€ Math has to be fun; learning has to be fun. Opportunities present themselves if you just look around. For example, we used the weather changes to illustrate the concept of rate of change. Here in Iowa we are blessed, or perhaps cursed, with four very distinct seasons. In the summer and winter months, the temperature doesnâ€™t change much over time, but it changes quite rapidly from early fall to late fall, or early spring to late spring. Notice how the temperature might be warmest in the summer and coldest in the winter, but it changes the most in the spring and fall? Differential calculus at work, and hopefully introduced in a low-key way. Our primary goal as parents is to do whatever we can to keep them interested in math (and learning in general); if we can successfully do that, I hope theyâ€™ll naturally take to whatever curricula they are exposed to. Of course now that our oldest is entering third grade, and getting to the point where boredom with his regular math curriculum is starting to be a problem, we have had to look more actively for ways to foster his interest. I vividly remembered my exposure to logic and number theory in my first summer with MEGSSS (after fifth grade) and have since ordered those beginning books for him. There is a lot of talk about the challenges the US faces in math and science education. From your point of view as a professor and a parent, what actions need to be taken to help US students become competitive again in the new global environment? The U.S. is far and away the world leader in scientific research, which makes the mathematical and scientific illiteracy of the general population all the more discordant and alarming. We absolutely cannot sustain our technological edge in this environmentâ€”partly because we will no longer continue to produce talented scientists and mathematicians; and partly because a population that does not understand math and science will not support them intellectually or financially. A majority of Americans do not accept the idea of evolutionâ€”that all life arose by descent with modification from a common ancestorâ€”despite the fact that it is the central organizing principle in biology, paleontology, and, importantly, medicine, and is one of the best supported scientific theories ever devised. A large minority of Americans do not accept that human activity is warming the planet, despite this too being an extremely well-supported theory and having reflected the consensus scientific view for nearly 20 years. Where does this illiteracy come from? I think it ultimately arises from the fact that science (and math) represent fundamentally unique ways of thinking about the world that are simply not well-taught in schools. Science is not knowing the difference between igneous rock, sedimentary rock, and metamorphic rock. It is not repeating some â€œexperimentâ€ thatâ€™s been done thousands of times over by millions of students with a prescribed result. Science is inquiry. It is observing the world, asking a question, forming a hypothesis, testing the hypothesis, and discarding the hypothesis if the test falsifies it, or moving forward with it if the test supports it. Every student learns this as â€œthe scientific method,â€ but how many get to put it into practice, to address a question to which the answer is unknown? How many science teachers make this kind of investigation the centerpiece of their curriculum, versus simply presenting a series of facts that must be memorized and â€œlabsâ€ that must be suffered? Knowing that, as a scientist I am learning the answers to questions that have never been answered before, however big or small, is one of the true excitements of my vocation. The same applies to math as well; math is not a worksheet full of arithmetic problems. It is a language that can be applied to real world problems, and requires its own way of thinking. 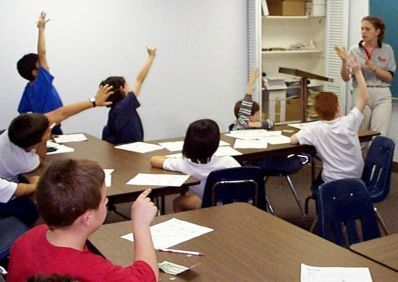 There are teachers who approach science and math in this way, but I am convinced they are few and far between, and many others who want to probably feel they cannot, lest their students perform poorly on standardized tests. That people are not generally trained to think this way is evident from our national discourses. Debates are driven by ideology, with every viewpoint given equal weight. Arguments are made by assertion and evidence is cherry picked to support a preformed viewpoint. This is totally antithetical to scientific thinking, where the evidence drives the viewpoint and the viewpoint is subject to change based on the weight of that evidence. If science and math education in this country were geared toward teaching those ways of thinking, rather than toward the accumulation of information needed to pass a standardized test, I think not only would the population be more scientifically literate, and not only would we maintain our scientific edge, but we would also have much better informed and more productive dialogues on the issues facing society. IMACS believes in keeping high achievers challenged. If you’re ready for the IMACS challenge, take our free aptitude test. 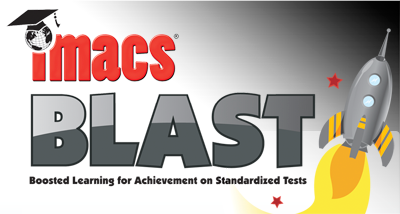 IMACS introduced Boosted Learning for Achievement on Standardized Tests (BLAST) in 2007 to help second graders who are struggling in math. After receiving a growing number of inquiries from parents searching for an effective remedial math program, we saw that it was time to make the benefits of our curriculum more widely available. IMACS is all about helping students reach their potential in math, and we firmly believe in this philosophy for all children regardless of natural ability. •	The average increase in math score across all students was 15 percentage points. •	Two-thirds of the students improved their math scores. The average increase among this group was 27 percentage points. •	Of the students who improved their math scores, more than half also improved their reading scores by an average of 19 percentage points. •	Every student in the bottom third of the class according to the first year’s math scores increased his or her math score. The average increase among this third was 29 percentage points. •	All but one of the students in the bottom third of the class according to the first year’s reading score increased their reading scores. The average increase among this third was 23 percentage points. While our BLAST kids gained a lot from their IMACS experience, we were also able to take away some valuable lessons on how to help students who are having difficulty with math. Most children who come to us struggling with math have not sufficiently developed the ability to think logically and critically. And this is true whether they are below average or gifted and talented. Most have never been exposed to any kind of training in this area because the traditional approach to teaching is based on the assumption that logical reasoning and critical thinking skills will develop almost as a side benefit of studying the core subjects. It’s not quite putting the cart before the horse. Rather it’s more like having a stand-alone cart and hoping that a horse will trot on over to be attached. What we’ve found in both our BLAST program and in our advanced math program is that if you start children off by teaching them how to think logically, it makes a world of difference in their ability to learn whatever material comes after. And mathematical logic, like other subjects, can be taught and learned. It’s the intellectual equivalent of pumping iron in the gym when you’re training for competitive sports. Students first build up their critical thinking skills so that they are ready and, just as importantly, feel ready to be take on a challenging subject. So how do we help students feel ready? It’s really just about rekindling and harnessing the natural curiosity they were born with. When a child is struggling with math, he or she may not feel comfortable speaking up in large group settings to answer questions or ask for help. Children with above average math abilities may feel the pressure of expectations. They may believe that they have to understand right away and cannot make mistakes. Those who are not naturally strong in math may fear being labeled as “dumb” if they give incorrect answers or admit that they don’t understand. They may also worry that others will think they are trying to “act smart” if they participate in class. At IMACS, we are able to break through this barrier of self-consciousness by working with children in small groups. When our students realize that they are in a place where it’s okay to take risks and make mistakes, they let down their guard and allow their natural curiosity take over. Simply put, they rediscover the joy of learning and leave the program feeling empowered to take on challenging work. A parent of one of our students summed it up beautifully: “BLAST went beyond my expectations. In a matter of 10 weeks, I have seen my child work with numbers on her free time and love math. Her self-esteem is soaring unbelievably.” That’s exactly the kind of feedback that makes us want to rise and shine each and every morning. While we have our own in-house logic exercises that we use with our students, we’re also a big fan of logic games by ThinkFun. We like that ThinkFun games are affordable and constructed well to last a long time. And they usually have multiple levels of difficulty, which makes them accessible to a wider range of ages and abilities. Another great source are the weekly logic puzzles posted every Friday on our Facebook page. If you have a suggestion for other logic games or ways to help struggling students, please leave a comment. If you are interested in being a corporate sponsor of BLAST, please send us an email at info @ eimacs.com. IMACS online classes are designed to fit into your schedule. Take our free aptitude test to see if our program is right for you. This week, IMACS asks Dr. Arturo Cifuentes to share his colorful opinions on a variety of topics. Dr. Cifuentes received his Ph.D. in applied mechanics and M.S. in civil engineering from Caltech. 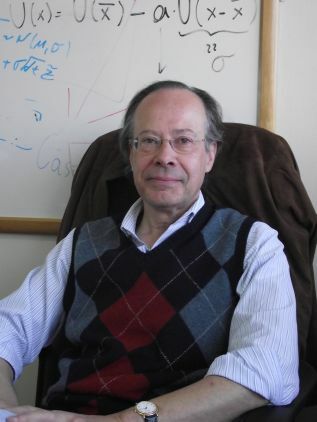 He spent five years at the prestigious IBM Thomas J. Watson Research Center. Dr. Cifuentes then moved to Wall Street, where he spent 15 years working in the fixed income market. During the recent financial meltdown, he was invited to testify before Congress as an expert witness on the subprime crisis. Dr. Cifuentes is currently an Adjunct Professor in the Department of Industrial Engineering at the University of Chile and writes a monthly column for El Mercurio. As you were growing up, what made you realize that you had a talent for math and science? How did you become interested in pursuing degrees and a career in engineering? My father was an engineer who did a lot of consulting work. He enjoyed very much what he did and talked quite often about the “problems” he was trying to solve. I found that fascinating. I think, in a way, that enthusiasm motivated me to investigate in more detail what he did. And I liked it. Also, having early access to all the books by Yakov Perelman was a turning point in my life. Those books were fun to read, intriguing, and very powerful and persuasive. My father did not believe in libraries; he felt that any book worth reading should be at home. The fact that I had access to many books since I was a child was fantastic. And the Perelman books convinced me (I am still convinced) that any career in science or a closely related field could be rewarding and interesting. In your opinion, what needs to happen with math and science education in the United States in order for US students to remain competitive globally? Parents should turn off their TVs, buy more books, and tell their children the truth: Sure, learning something like math or physics can be a lot of fun and can be rewarding, but it involves a lot of hard work and effort. And if those who believe in Intelligent Design could be persuaded otherwise, that would be quite helpful. [i] The growing emphasis on group work and team effort. Learning something like math is pretty much a lonely effort, a solo journey. People have to accept that. There is nothing wrong with team effort (soccer, for instance, is about that). But certain things (playing the piano, for example) require a lot of NON-group work. Math is one of those things. [ii] Computers in the classroom. There is nothing wrong with using computers. But introducing them at an early age (with the idea of making learning fun) is a disaster. Children must learn to think conceptually first. And when introduced to computers, they should learn how to program them instead of learning how to react via a mouse to some external stimulus. Now that the space age seems to be coming to a close, what is going to be the stimulus for intellectual and scientific pursuits going forward? Well, in science and technology, whenever a door closes, several windows open. The advances in genetics, bio-engineering and neuroscience are very exciting; the same with computer science and communications. In physics, whoever manages to reconcile relativity and quantum mechanics will be the new Einstein (or Newton). Not to mention many more practical problems that still remain unsolved: earthquake prediction, for example. You are a voracious reader. What book or books would you recommend to today’s students and why? I was fascinated by Tom Sawyer and Huck Finn when I was a teenager. I read them in Spanish, and they were as good as in English. I also read Kafka, Cortazar, Hesse and Poe. Unfortunately, Etica para Amador by Fernando Savater is not available in English. I think every teenager should read that book. Finally, Richard Feynman’s Surely You’re Joking, Mr. Feynman is a must. If anyone thinks science is boring, this is the book to read. How did you go from doing structural engineering research on thermal stress and circuit boards to analyzing complex financial securities? I had been working at IBM Research in New York for five years, doing a lot of interesting stuff, and never thought about going anywhere else. Unfortunately, IBM was having a difficult period and they decided to cut costs. That meant that instead of using 100% of our time and effort to do research, we were supposed to go out and find funding (i.e., write grant proposals, etc.). The minute I saw the first few forms and all the paperwork involved in getting a government grant, I was done. I decided that I was not going to spend the rest of my life begging for money. That took the fun away from the research. I loved (and still love) New York, and my wife had a good job there, so I decided to stay there and look for work. I quickly became aware that there were not many options for scientists in the New York area. Fortunately, a friend who worked on Wall Street asked me if I would consider interviewing with his firm. “I don’t know anything about finance,” I said. I knew Monte Carlos. And in a few weeks I moved to the financial field. But at the end of the day (as bankers like to say), it is all the same: thinking analytically and logically about problems. If you have a good background in math, it is easier to jump from one field to another. You learn to quickly identify the essentials and then the math helps. The key is to acquire good quantitative skills when you are young; you can easily learn the rest later. But if you don’t get your math tools under control by the time you are twenty, it is probably too late. You currently write a column on business and economics, and you previously wrote an opinion column reflecting your varied interests in topics such as soccer and travel. Technical people are often stereotyped as having narrow focus and weak communication skills, so to what do you attribute your broad range of interests and abilities? When I grew up I never had that impression. (I mean, that technical people had a narrow focus.) My father, who was a civil engineer, spoke several languages, and he often quoted Shakespeare in English and Goethe in German. He had a great library at home and read a lot. And his interests were very wide. I remember one Saturday (many years ago, I was ten or twelve probably) we went to his favorite bookstore and came back with three books: one dealing with humidity in high rise buildings and how to control it; a second book was about the evolution of financial markets in Chile; and the third book was about Freud. I still remember what the salesperson said: “I have seen many people buying these books before, but I have never seen the same person buying all three!” Well, that was my father. He was a very important influence and example when I grew up. He was a guy with many interests and skills. I owe him a great deal. Any parting words of advice to the students and parents who are reading this? When you are older than fifty, you tend to give more advice than you should. So I will be brief: Do what you like and follow your instinct. And remember, life is not about career choices or promotions. It is about love and friendship. Nothing else matters. Although having good math skills is always a plus. Students worldwide take IMACS classes online. If you’d like to find out more, sign up for our free aptitude test or contact IMACS at info @ eimacs.com.